Drop in for Touch Tank Tuesday and see what kinds of plants and animals are living in the waters of Wrightsville Beach. 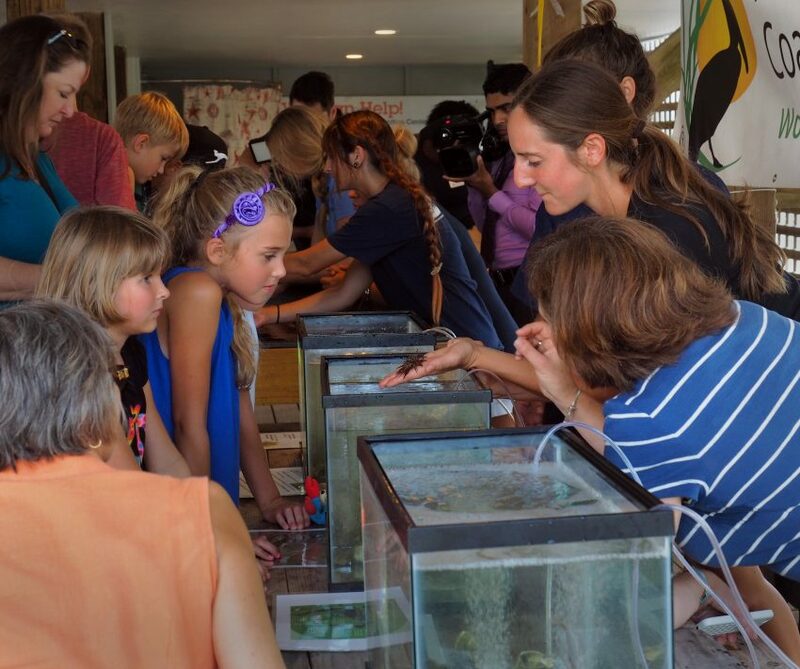 The interactive touch tank program runs every Tuesday, June through August from 10 a.m. to 1 p.m.
Each week a variety of coastal plants and animals are carefully collected for the Tuesday program and later released. From purple sea urchins and red and green algae to blue crabs and orange horse conchs, the rainbow of wildlife to view and hold varies each week. Touch tank guests can learn about the local critters and the coastal habitats where they can be found. Interactive stations for guests to enjoy are also offered in addition to the touch tanks. 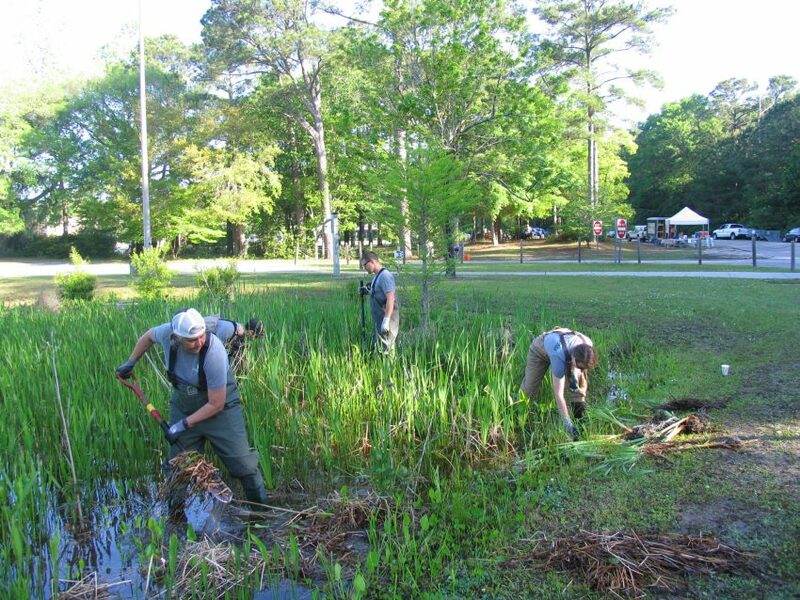 Patrons will have the opportunity to look at organisms under a microscope, explore their creativity with fun crafts, coloring and board games related to our local aquatic ecosystems. The event is FREE and donations are welcome. All donations will benefit the federation’s education programming. Touch Tank Tuesdays are recommended for all ages, however, an adult should accompany children under the age of 15. 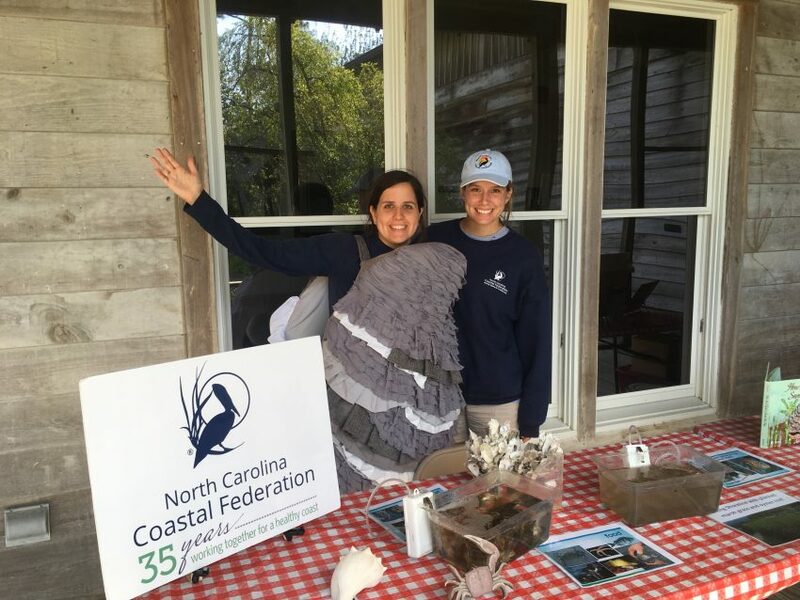 For more information, contact Jessica Gray, coastal outreach associate, jessicag@nccoast.org or 910-509-2838 ext. 204.